As the veil of financial secrecy lifts in Switzerland, many retirement savers are looking again at the advantages of a Swiss QROPS. With a choice of nearly 140 QROPS, Switzerland is one of the world’s leading financial destinations for British expats and international workers with UK pension rights. Expats do not have to live in Switzerland to open a QROPS in the country – which means they do not have to worry about high living costs and qualifying as a resident. This gives all the benefits of world-recognised leading financial advice from leading financial institutions and investment managers while living anywhere else in the world – besides the UK. Payments are offered in most major currencies, including Swiss Francs, cutting down on the costs of exchange rate fluctuation and the hassle of timing transfers. A big issue for investors is tax as Swiss financial institutions withdraw the secrecy surrounding assets and earnings, but this is not a worry for QROPS investors. 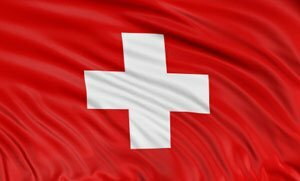 The British government has brokered a deal for Swiss financial institutions to pay a withholding tax on accounts in the country – but this does not affect QROPS investments as expat pension providers have an obligation to report any withdrawals from their schemes for the first 10 years of operation. Meanwhile, funds inside a QROPS grow free of income tax and capital gains tax. Switching funds from the UK to a Swiss QROPS requires no additional tax reporting than holding the funds in a UK scheme – and that goes for expats living in another country with a QROPS based in Switzerland as well. Tax obligations start on the payment of benefits – not on investing in a Swiss QROPS. Follow the links below to find out more about the specific country a QROPS is based in or being a resident in that country with a QROPS.